You'll be £11.99 closer to your next £10.00 credit when you purchase Inchon Landing. What's this? 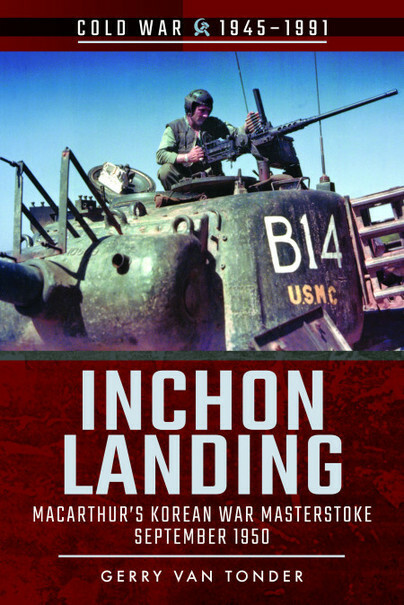 Inchon, a dramatic Cold War event: in the first two volumes in the author’s series on battles of the Korean War, North Korean ground forces, armour and artillery cross the 38th Parallel into South Korea, inflicting successive ignominious defeats on the ill-prepared US-led UN troops, pushing them ever southward into a tiny defensive enclave—the Pusan Perimeter—on the tip of the Korean Peninsula. General Douglas MacArthur, Second World War veteran of the South East Asia and Pacific theatres, meets with considerable resistance to his plans for a counteroffensive, from both Washington and his staff in South Korea and Japan: it is typhoon season, the approaches to the South Korean port city of Inch’&#335;n are not conducive to amphibious assault, and it will leave the besieged Pusan Perimeter in great danger of being overrun. However, the controversial MacArthur’s obstinate persistency prevails and, with a mere three weeks to go, the US X Corps is activated to execute the invasion on D-Day, 15 September 1950. Elements of the US Marine Corps land successfully on the scheduled day, and with the element of surprise on their side, immediately strike east to Seoul, only 15 miles away. The next day, General Walker’s Eighth US Army breaks out of Pusan to complete the southerly envelopment of the North Korean forces. Seoul falls on the 25th. MacArthur’s impulsive gamble has paid off, and the South Korean government moves back to their capital. The North Koreans have been driven north of the 38th Parallel, effectively bringing to an end their invasion of the south that started on 25 June 1950.